Caregivers are the unsung heroes of our society. They give of their time, their work and their money to ensure that our most vulnerable people are properly taken care of. For many of them, the financial burden of being a caregiver can be extreme. According to a new study from insurer Northwestern Mutual, 4 in 10 Americans are current or past caregivers, while 1 in 5 non-caregivers expect to step into this role in the future. First released in 2015, the C.A.R.E. (Costs, Accountabilities, Realities, Expectations) Study draws from the perspectives of experienced (past and current) as well as future caregivers to explore the expectations and realities of caregiving. It finds that many of them are not taking proactive steps to mitigate the impact of providing care to an elderly relative or friend on their budgets, careers and/or personal lives. Though only one quarter of experienced caregivers said financial support is a key attribute of caregiving, nearly two thirds (64%) actually ended up providing it. 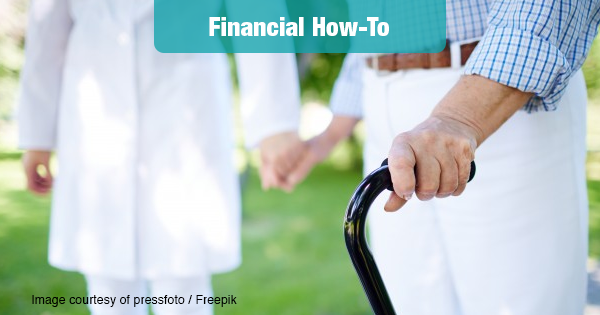 In fact, expenses comprised roughly one third of current caregivers’ monthly budget. 7 in 10 future caregivers expect to incur costs, yet 60% say they are least equipped to handle the financial aspects of caregiving. When asked what part of life caregiving impacts the most, half (51%) of future caregivers flagged finances second to only personal time. Among those caregivers who incurred added expenses, half (51%) said they reduced discretionary living expenses, while more than a quarter (28%) increased work hours to assist with the added financial demands. Notably, future caregivers who expect to accrue financial costs anticipate even more pervasive lifestyle changes. A full three quarters (76%) believe they will need to reduce living expenses while half (49%) foresee working more. Despite recognizing the potential burden, 1 in 3 have taken no steps to plan. 86% of experienced caregivers saw impact on their lifestyle and even more future caregivers expect the same (97%). 1 in 10 experienced caregivers mentioned having had to resign their jobs or change careers. More than half (54%) of experienced caregivers said caregiving impacted their personal time and 39% noted an impact on their emotional well-being. 44% felt tired and 37% felt sadness all the time or often. Despite the emotional and professional toll, caregivers find their experience gratifying. Nearly 7 in 10 say they are proud of doing the right thing and 60% feel a sense of accomplishment all the time or often. When considering their own longevity, Americans were most likely to fear poor health (27%) and being a burden to their families (26%). Moreover, while most expect their spouse/partner (48%) or children (28%) to be their caregivers, two thirds haven’t addressed their preferences with these family members – or anyone else. In fact, a staggering 7 in 10 (69%) have not proactively planned for their own long term care needs in any way.